" Dj's for any occasion; Music for all ages "
Once again, L&R Entertainment had everyone on the dance floor all night !! 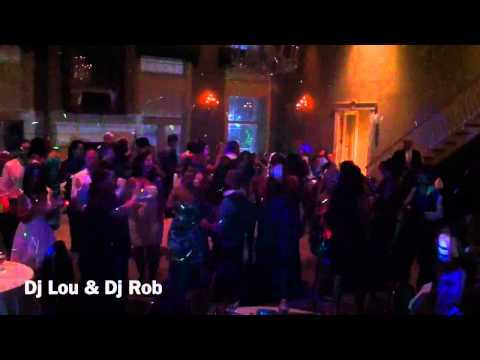 Another successful Event by Dj Lou & Dj Rob. This was the 2nd year in a row that L&R Entertainment worked The Angelic Evening for AHA. Everyone had a great time from beginning to end. L&R Entertainment performing a Super Sweet 16th at MetLife Stadium. SG Companies Corporate Cruise Party on Board of The Cloud IX Yacht. We had over 80 kids on the dance floor at this Quinceanera at Portobello's in Oakland, NJ. Highlights of a Communion Party done at Don Pepe's Restaurant. 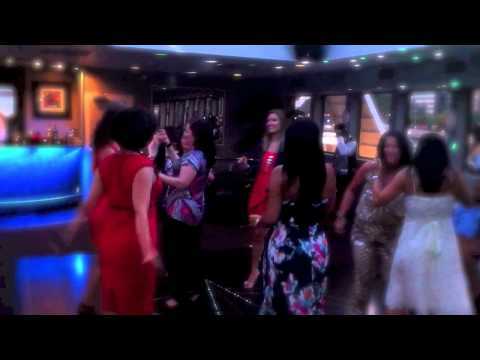 Highlights of Lodi High School Senior Prom Class of 2010 at The Chart House in Weehawken, NJ. High School Senior Prom at The Rockleigh Country Club June 9th, 2011. A wedding done at The Beautiful Michael's Riverside in Lyndhurst, NJ. Holy Angels Academy " Angelic Evening Fundraiser Event 2012 at The Rockleigh Country Club. L&R Entertainment had everyone on the dance floor !! Fairmount School End of Year Party at Biagio's Paramus, NJ June 15th, 2012. A collection of events performed at places such as The Brownstone, Acqua Ristorante, and Michael's Restaurant. They were all great parties as you are able to see. Let us make your next party or event a great one. L & R Entertainment is a registered LLC.